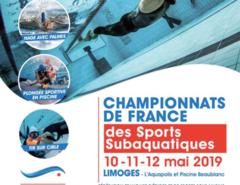 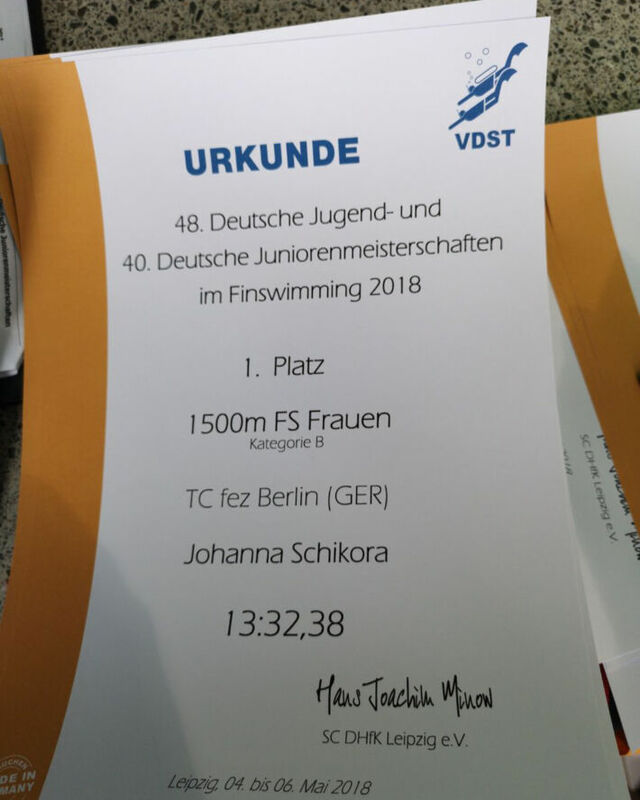 The young german finswimmer Johanna Schikora (born in 2002) from TC Fez Berlin Finswimming Team, has broken today (May 4th 2018) a Junior World Record made almost 10 years ago. 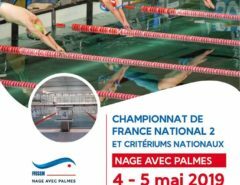 Johanna stopped the chronos on 13:32.38 in the 1500 surface event, beating the previous world record of 13:40.02 by Olga Godovana from Ukraine made in Eger, Hungary in 2008. 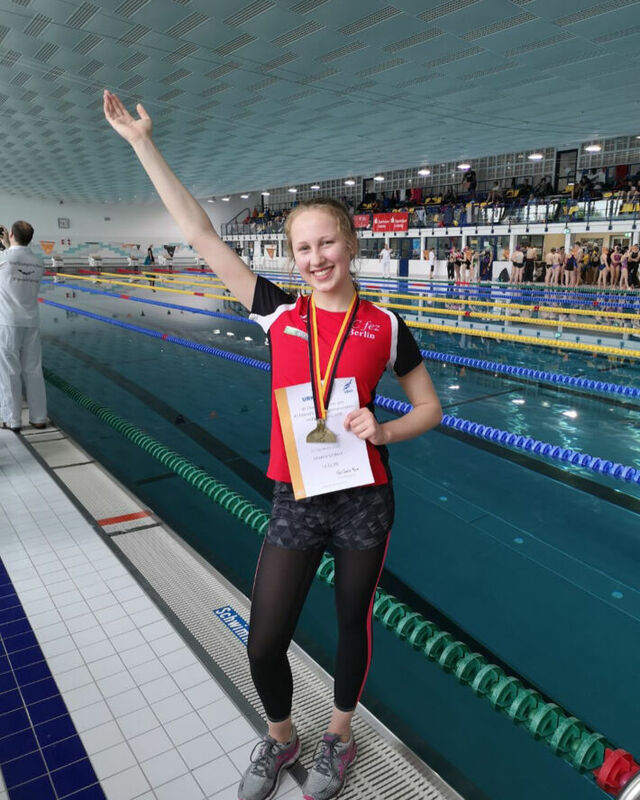 The german girl made this World Record on the National Junior Finswimming Championship in Leipzig from May 4th to 6th 2018.